Hey guys so I thought that I would do this blog post today as I often get asked by many of my followers on Instagram “What video can I film when I start a channel?” or “What was your first video?”. Hopefully this blog post will give you a few ideas if you have decided to start a channel. Also before I get into this post these ideas aren’t in order of videos that will get most views these are just suggestions it doesn’t mean you will get 10,000 subs or 34,000 views over night. I’ve always found that collections attract attention whether it’s to do with make-up, beauty products, shoes, bags or even clothes. They always seem to be a favourite they’re also a great thing to film for your first video. I say this because sometimes you don’t actually need to show your face in the video which can be scary for some at the beginning. I know many YouTubers who haven’t shown their face in any of their videos and this has its positive and negative aspects like many things. This idea is a great video as people love to discover new ways to make their lives easier. Whether it’s storage to do with bathroom, school or kitchen stuff storage ideas are always a good video to put together. Maybe you could even do a high-street VS high-end one where you find storage solutions from Ikea or Tesco and then places like furniture boutiques. I’m constantly re-arranging and decorating my room so I love watching these videos as they give me so much inspiration. Routines are probably one of the best videos to start off with as they give people an insight into your life. Everybody knows that people love to be nosy even if they say they don’t they do! I know that routines can sometimes seem a little scary as it’s like letting someone follow you around. But they’re actually so fun to watch and I know people love watching them especially if they’re seasonal. Some other routines you could do are weekend, fitness or getting the kids ready (if you have kids obviously). 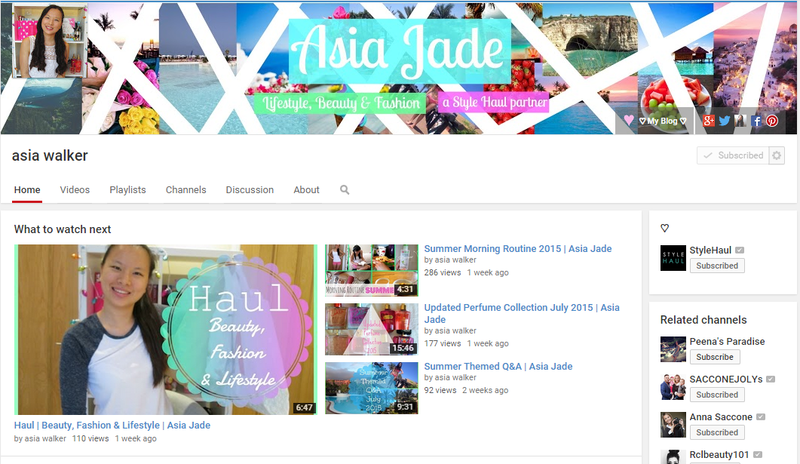 Hauls are another popular video in my opinion as people love to see all the latest things that people have brought. Hauls are also beneficial as they allow a person to really see what a product is like instead of just seeing what it looks like on the website. The last video is first impressions these always go down well as people like to see your impressions on things especially those that have just been released. My advice on this one would be to pick products that have just been released. Therefore not many people would have tired them making them want to watch your video before they buy them.